National recycling and waste management provider, Biffa, has been awarded the total waste management contract for one of the UK’s largest leisure operators, Bourne Leisure, providing services for Haven parks and Warner Leisure Hotels across the UK. 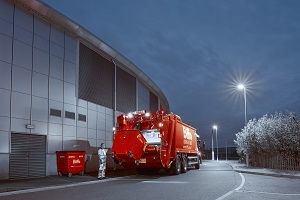 Biffa will be delivering general waste management, dry mixed recycling, as well as glass and food recycling services to 35 Haven holiday parks and 13 Warner Leisure Hotels across the country, from Scotland to the South West. Bourne Leisure, parent company of some of the most highly recognisable holiday brands in the UK, also including Butlins, caters to more than four million families every year, making it essential to partner with an accountable, national waste management provider with a clear, efficient strategy. Ian Bourne, Purchasing Manager at Bourne Leisure, said: “We are pleased to award Biffa the waste management contract, working across a large portion of our Haven and Warner hotel sites. During peak periods, such as the summer and Easter holidays, our sites’ waste requirements significantly increase, and it was imperative during the selection process that Biffa was able to demonstrate its ability to adapt to changing requirements and proactively plan on a park by park basis. Biffa’s integrated services allow parks to monitor and forecast their waste production in specific areas of the sites and tailor a waste management schedule that works accordingly – as the company is well aware, one size does not fit all.